Facilitating peer support groups for young people: 18th & 19th December 2017 – Applications Closed! 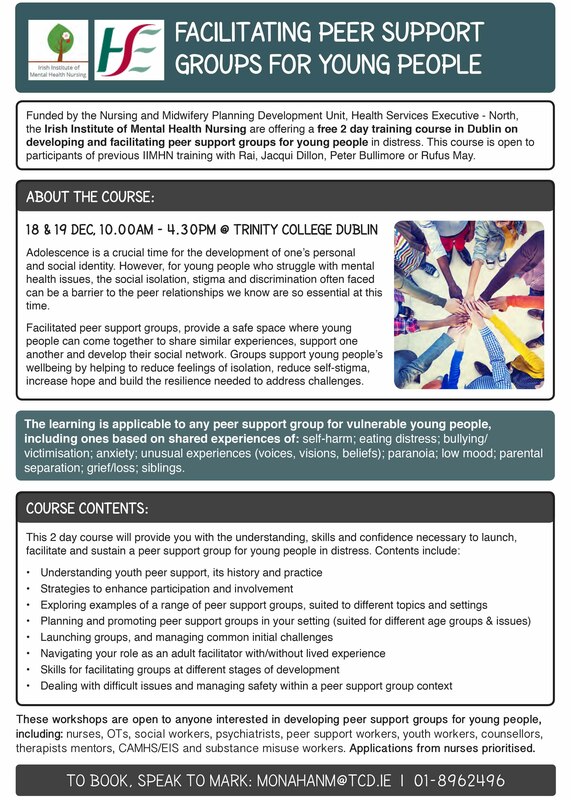 These workshops are open to anyone interested in developing peer support groups for young people, including: nurses, OTs, social workers, psychiatrists, peer support workers, youth workers, counsellors, therapists mentors, CAMHS/EIS and substance misuse workers. 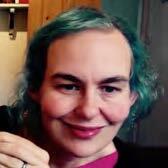 However, applications from nurses prioritised. 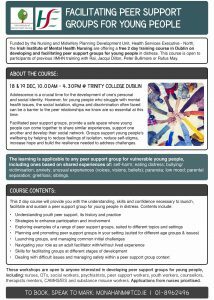 « IIMHN AGM 2017: Agenda Items Request	» Supporting young people in distress: Dublin workshops – 13th – 15th December 2017 Applications Closed!